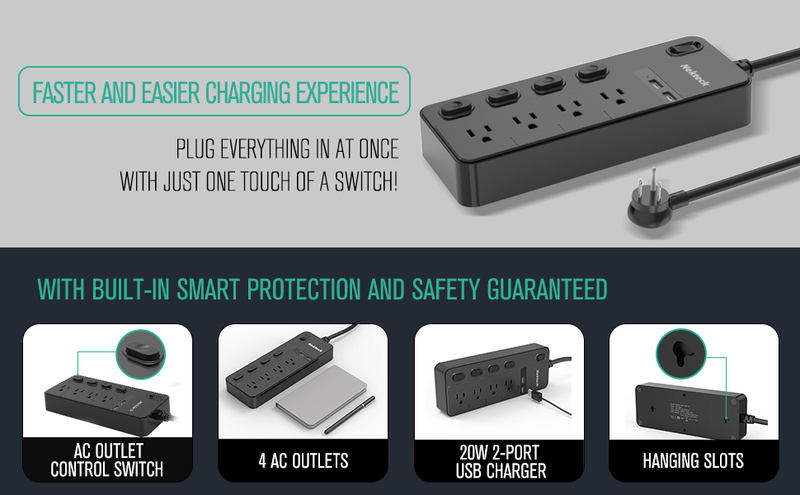 Nekteck Multi-Outlet and USB Surge Protector. It has 1700 joule energy rating that provides standard protection for your electronic devices. It is safety designed with overload protector, which makes it turn off automatically once the load power exceeds the rated power. 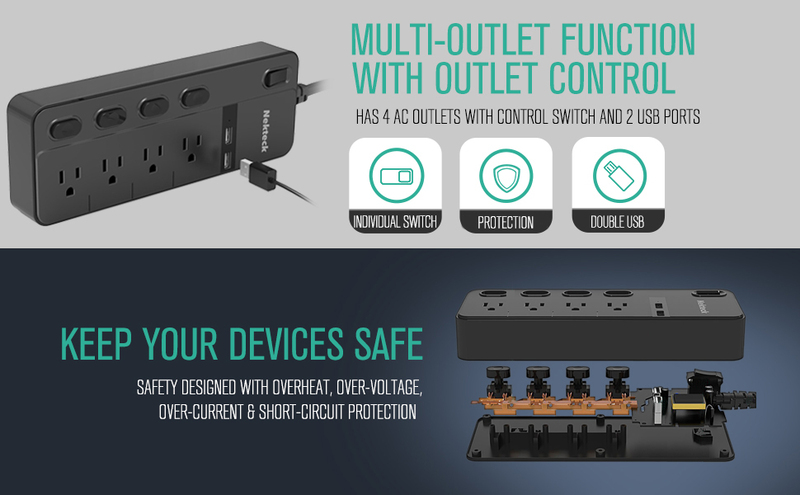 The Nekteck Multi-Outlet and USB Surge Protector has 4 AC Outlets with independent outlet control and 2 USB ports that delivers up to 5V, 2.4A maximum per port and is capable of charging various kinds of devices. It is equipped with a switch for each outlet to avoid frequent plugging and unplugging which improves safety level and brings much more convenience Plus, it is matte finished and polished chassis; made with durable materials and is capable to extend service life. Safety System: Anti thunder, anti-electric surge, overload protection and etc.